Political ecology begins with the premise that people must harvest and therefore modify the ecosystem in which they live in order to survive. Considerations of how much primary productivity (photosynthesis) must be captured, and how it should be captured, in order to support a growing population of over 5 billion people lies at the center of a political ecological analysis. Ecological science may not be able to tell us everything about how an ecosystem functions, but detailed natural histories of particular species may tell us what we and they need to thrive. Political ecology directs our attention to the particular technologies we use in order to access natural resources to satisfy our physiological needs. This perspective reminds us that we don't have the option of forgoing technology to harvest the primary productivity of the biosphere. All we can do is understand which technologies are likely to be capable of providing access to sufficient primary productivity and perhaps some understanding of whether the use of those technologies is likely to destroy the very resource they are designed to tap or other parts of the ecosystem upon which we and other species depend. Political ecology therefore grounds our understanding of the wealth needed to support human culture directly in the functioning of ecosystems. As such it links (1) an understanding of resources, (2) the technologies capable of accessing those resources, (3) the transformation of those resources into wealth and power, and (4) the role of capital accumulation in driving some entrepreneurs to seek new technologies in order to achieve yet higher yields. Political ecology helps focus our attention on issues of physical potential, political economic impact, and moral significance. This book uses a political ecological perspective to explore the yield transformation in twentieth-century agriculture, particularly as it occurred after 1945. High-yielding varieties of cereals are so important as human food that it is imperative to know how these plant varieties were created and identified. It is also imperative to understand why both nations and farmers all over the world made the decision to use them. Most of the crucial events of the story took place within a quarter century, between 1945 and 1970. Nevertheless, the roots of the change stretch easily to the late nineteenth century. More subtle traces lead back to the Neolithic period and the origins of agriculture. Thus the inquiry is a historical reconstruction of past events in science, technology, and the political economy of agriculture. Agriculture is extremely complex, however, so this inquiry could not hope to be comprehensive for all crops and all areas. Instead, it relies on a case study approach: wheat in Mexico, the United States, India, and the United Kingdom. Other crops, especially rice, also would have been interesting and informative, but the yield transformation through plant breeding had some of its first successes in wheat. Similarly, maize could have served as the crop example, but maize has less importance in many areas as a direct human food. 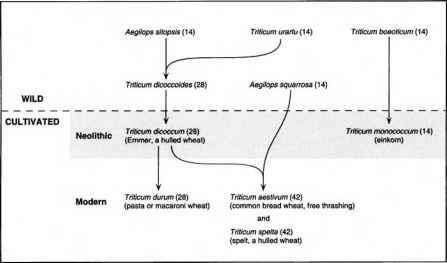 In addition, the genetic basis of high-yielding maize, heterosis, is still less well understood than the simpler scientific information about the genetic nature of high-yielding wheat. The four countries that figure most prominently in the story are each present for important reasons. Important formative events in modern plant breeding took place in both the United Kingdom and the United States. Thus to understand the roots of this science, one needs to understand both these countries. Administratively, the United States provided the model, widely imitated, for organizing the work of plant breeders and the technical support system for farmers who might potentially use the new plant varieties. Chronologically, the first breakthroughs to get high-yielding varieties of wheat (outside of Japan) came in Britain, the United States, and Mexico. Events in Mexico had crucial significance for the yield transformation in India and the United Kingdom. Both Mexico and India exemplified the processes by which less industrialized countries decided to adopt the high-yielding varieties. Somewhat ironically but importantly for understanding the global dimensions of the yield transformation, the United Kingdom was one of the later arrivals to the countries that decided to adopt the high-yielding varieties. An understanding of why Britain finally embraced the science it helped create is crucial to understanding the overall reasons for the yield transformation. One other important point linked these four countries and wheat: wheat is a major cereal crop in each of the countries. For direct human consumption, wheat has no rivals in the United States and the United Kingdom. In Mexico, maize rivals wheat as a grain for human food, and rice plays a similar role in India. Nevertheless, in each of the four countries, wheat has been a significant crop — critical for the health, prosperity, and stability of each nation. It generated a historical record that could be used to understand why each country in turn made the switch to use high-yielding varieties. No single analytical framework can ever illuminate all facets of a complex subject. Nevertheless, political ecology can aid understanding of the world's premier industry and the earth's most important human-dominated ecosystem. 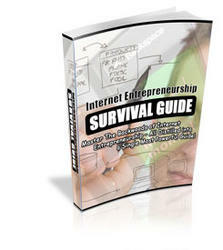 Master The Backwoods of Internet Entrepreneurship All Distilled into a Single Most Powerful Guide! Like a long pole, that can shift a great weight with little effort such is the case with succeeding in business. Your chances of succeeding-as an 'army of one' fall somewhere between zip, zilch and nill.